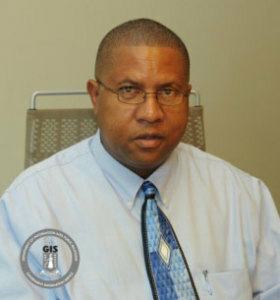 Mr. Ian Penn has been confirmed to act in the post of Chief Immigration Officer for a period of one year, effective November 1. The appointment was confirmed by His Excellency the Governor Mr. John S. Duncan OBE, after considering the advice of the Public Service Commission. The Chief Immigration Officer has the overarching responsibility for administering and implementing the immigration laws and policies of the Virgin Islands. Additionally, the Chief Immigration Officer serves as the Government’s key advisor on matters pertaining to immigration and is responsible for the overall planning, management and coordination of the department. Mr. Penn attained a LLB (Honors) from the School of Law of the University of East London and an Associate’s Degree in Business Administration from the H.L Stoutt Community College. Prior to his acting appointment, Mr. Penn served as the Acting Deputy Chief Immigration Officer. He has also served in other capacities with the Immigration Department for over 20 years. His other work experience includes having worked with the Office of the Director of Public Prosecutions and the Attorney General’s Chambers.